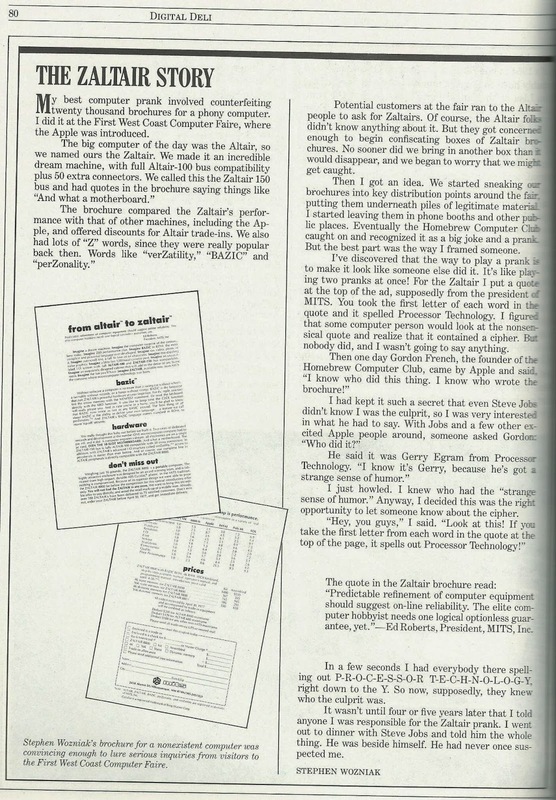 The Zaltair computer was not a real computer but a prank that Steve Wozniak and some of his friends made up and secretly distributed at the First West Coast Computer Faire April 15-17, 1977. 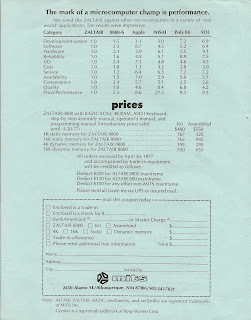 I am fortunate to have an original of the Zaltair brochure. 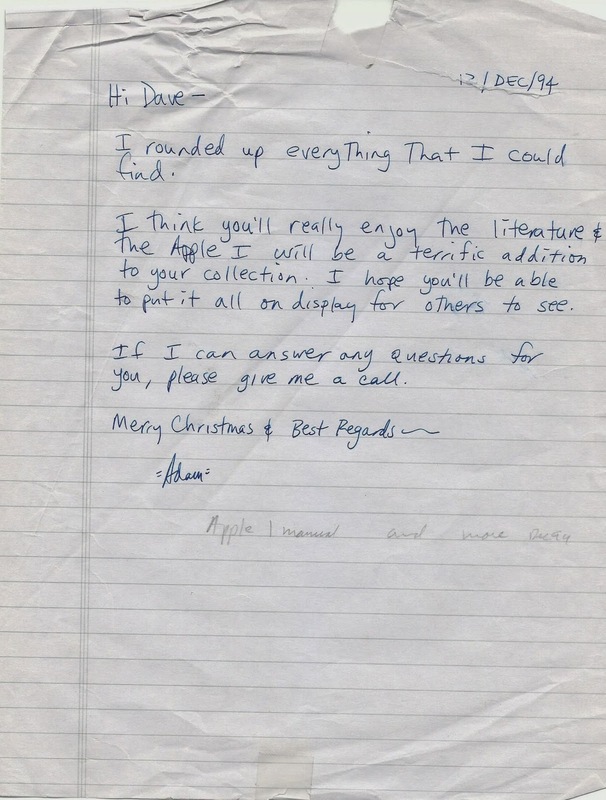 I received this brochure from Adam Schoolsky as part of a package of material with the Apple 1 computer purchased from Adam in 1995. Adam helped Wozniak with this prank. 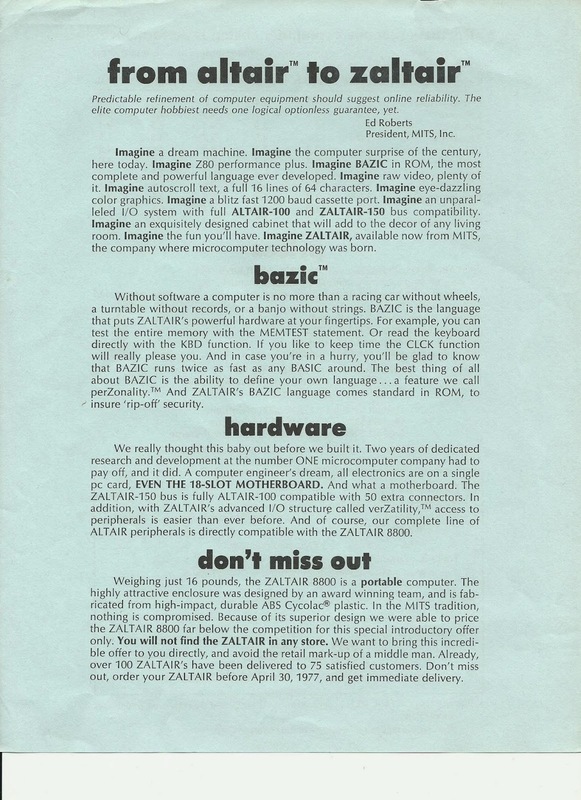 The brochure was a prank using the most popular computer on the market - the "Altair 8800" microcomputer sold by MITS, Ed Roberts company. See the comment below blog for additional information. Enlarge the photo's by clicking on them and then even more by a right click and select "View image". It is reported that this may be the only backside image of the Zaltair brochure on the the internet. 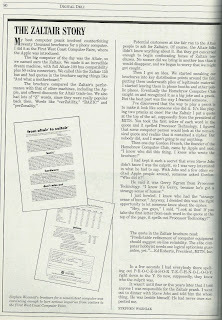 Much of this information I obtained from Steve Wozniak's book "iWoz"
"Zaltair Computer" A really great practical joke that Steve Wozniak ( designer of the Apple 1 Microcomputer ) pulled of at the First West Coast Computer Faire in April 1977. Steve says in his book "IWoz" that he likes to do practical jokes and have someone else get blamed for doing the joke. In the case of the Zaltair he did a very good job and did not get accused of being the originator of the joke in fact Gary Ingram at Processor Technology was the one accursed of doing the hoax. The hoax was directed toward the Ed Roberts and his Mitts Altair 8800 microcomputer. Steve called his friend Adam Schoolsky to come help with this hoax. 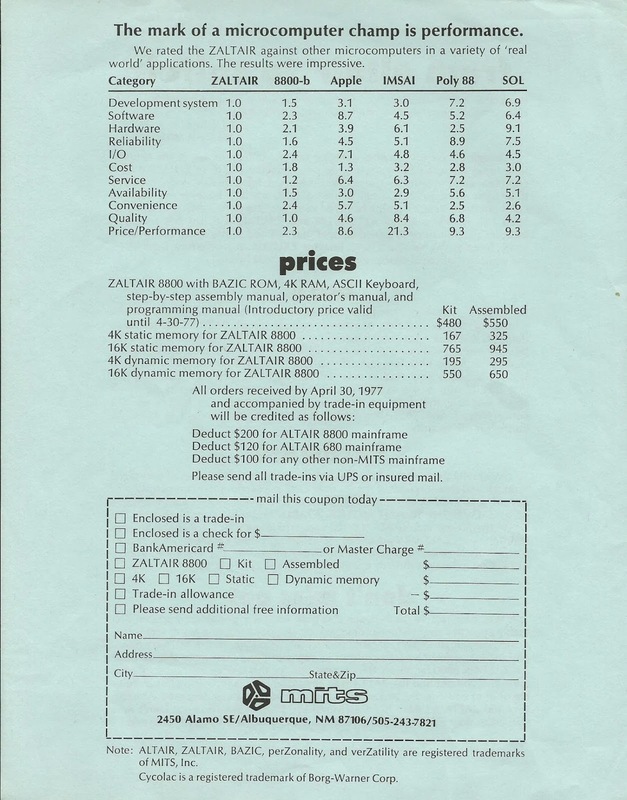 Adam and Steve created the Zaltair handout and printed 8,000 or more of them for $400. They called in Chris Espinoza and Randy Wiggington -- a couple of teenage friends to help distribute the brochure. Steve told them all that no matter what, they could not admit the hoax to any one. They started by putting a good number of them out on a table where many vendors were displaying literature. It was discovered that they disappeared very fast so they watched and saw a representative from the Mitts Altair Company was taking them all. It was clear a much more secret way to put them out would be needed. At this point they started to carry them around under their coat and put a few here and there usually putting them a few down in someone else's stack of literature. 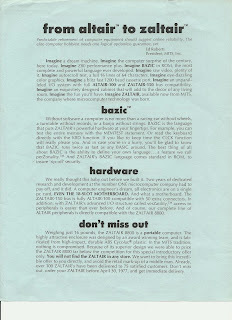 When Steve Jobs first saw the Zaltair brochure he thought it was real and made the comment that the Apple 2 did not look to bad compared to the other computers. Apple 1 designer Steve Wozniak. It was a number of years later that Steve Wozniak admitted to Steve Jobs and Mike Scott that he was the one responsible for the Zaltair hoax. They had a good laugh about the whole thing. I really enjoyed the book "iWoz" and liked the idea that Steve always looked out for folks he was friends with or worked with -- like selling some of his stock to about 40 engineers at Apple for a price he new would make them a lot of money when the company went public. He also gave a reported million dollars to several friends who had helped him in the early days of Apple but were not in on the good buy like the engineers at Apple. This material is based on information from Steve Wozniak,s book "iWoz: Computer Geek to Cult Icon: How I Invented the Personal Computer, Co-Founded Apple, and Had Fun Doing It"
This blog has been fun to write and brings back some good memories of my collection and being able to obtain several Apple 1 computers in the 90's. I am always amazed at just what I will find when I look at 40 years of computer collecting in the museum warehouse inventory . Looking for a letter and response I sent to Soviet President Gorbachev in 1990 I spotted a Volksmodem made by Anchor Automation in the late 70's. It is mint and in original box never used - WOW the good old day's of 300 Baud data rates. 1. On the front of the brochure, in the fake Ed Roberts quote, "Hobbyist" is misspelled; however. In iWoz, the book editor printed it with the correct spelling. You can also discuss who Ed Roberts was and the context of the prank in that period. Brochures, magazine ads and word of mouth were the primary ways of learning about anything new in the field. There was nothing like the internet yet. 2. In iWoz, Steve Wozniak summarizes the ridiculous hyperbole, "I wrote copy that said, 'Imagine a race car with five wheels.' I made up the stupidest things any idiot dork would laugh at, but if they saw it in a nicely done leaflet with good fonts, they would think it's all real and legitimate." But, that phrase never actually appears in the brochure. It's another brilliant hilarious idea from Woz; increasing the number of tires on a race car does not make it faster or better. 3. This prank was probably very expensive to pull off. Nowadays, anyone can crank out a professionally looking brochure using common desktop software and a printer. 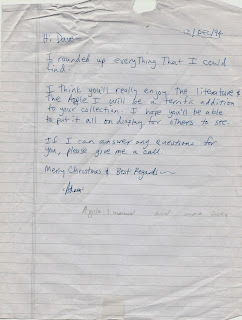 Back then, it was a bit more difficult. The effort to make a real looking brochure must of been incredible and it reveals how far Woz was willing to go to pull off a prank. 4. It is unknown how many people, if anyone, actually tried to trade in hardware as a result of the brochure. In iWoz, it is mentioned that at the Homebrew Computer Club, someone called up MITS and discovered that the offer was not real. But, if hundreds of people received the brochure, you'd think statistically, someone would have tried. I guess we'll never know. 5. Related to that, Woz pulled off the prank knowing that he would never get to see the outcome. He enjoyed setting the thing in motion even though he knew that the results, if any, would remain unknown. In iWoz, he discussed how it is important never to get caught when pulling off a prank, but he never mentioned this idea of doing something for which hilarity might ensue, but he'll never know if it actually did. Later, as his pranks evolved, he seemed to enjoy taking credit for them. His $2 bill pranks are a good example because he was directly involved and upfront in all of them.